Seattle is one of the fastest growing cities in the nation thanks to companies and organizations such as Amazon and Microsoft. I have lived in the greater Seattle area since 1980 and am a real estate specialist on many neighborhoods. Send me an email to get started on your real estate search or sales needs. 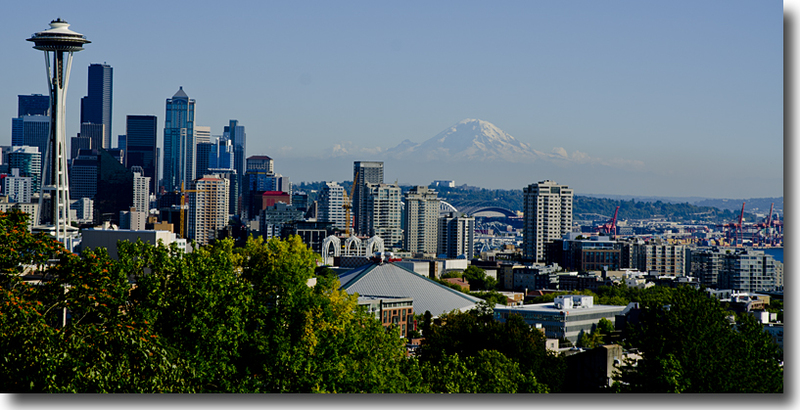 View of Mount Rainier and Seattle from Queen Anne’s Kerry Park. While a big city, Seattle is often referred to as a town by residents as it has many walkable neighborhoods, great restaurants, galleries and museums. It is also a great jumping-off spot for outdoor recreation such as skiing, bicycle riding, and hiking. Thanks to our climate we also have beautiful gardens, another one of my specialties.